Feature: Top 6 Best Super Mario Galaxy Series Galaxies Part 1! The Best Galaxies In The Universe! It's time to find out which galaxies in the Super Mario Galaxy series are our top picks! The first galaxy is the reason why this article is a top 6 instead of a top 5! 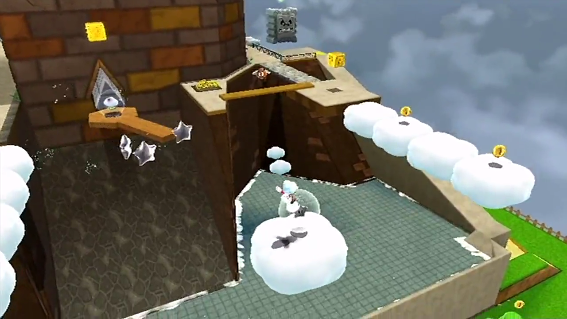 The Throwback Galaxy in Super Mario Galaxy 2 is an amazing remake of Whomps Fortress from Super Mario 64 and features a familiar layout and a boss fight with whomp himself in a nearly identical battle as what was seen in Super Mario 64, but with a twist as Whomp is now mega-sized so you must use cloud mario's abilities to stomp on his back! It's this combination of old and new that makes this galaxy an honorable mention on our list! Sweet Sweet Galaxy is a level literally littered with cakes, donuts, cupcakes, and many other tasty treats. The ground of this galaxy rotates and there are many holes in the ground as well as electrified barriers and even worse this lengthy level does not have a checkpoint so it is easily one of the most challenging galaxy's in Super Mario Galaxy! The difficulty and sweet level design is why this galaxy is #5 on our list! 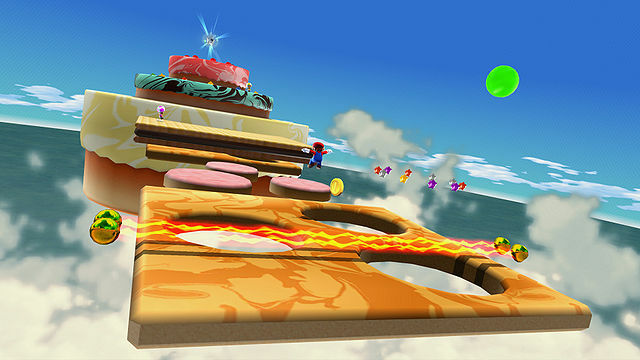 Fluffy Bluff Galaxy in Super Mario Galaxy 2 introduced the Cloud Mario power-up and has amazing platforming from cloud to cloud across a canyon in a large segment of the world. 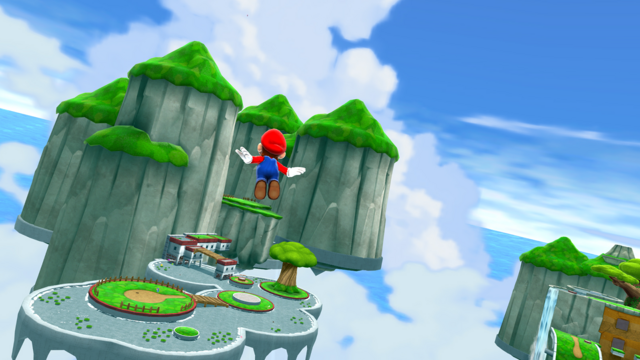 The level design is simply groundbreaking and the galaxy can prove to be one of the more challenging early galaxy's in Super Mario Galaxy 2, which is why Fluffy Bluff Galaxy has made the list! Be sure to checkout part 2 of our feature tomorrow! Did one of your favorites make it into part one of this feature? Be sure to comment! Rogue Galaxy or Dark Cloud 2? Re: Feature: Top 6 Best Super Mario Galaxy Series Galaxies Part 1! Good to see that the Throwback Galaxy made the list. That world is a true classic. It's coming in a few hours.